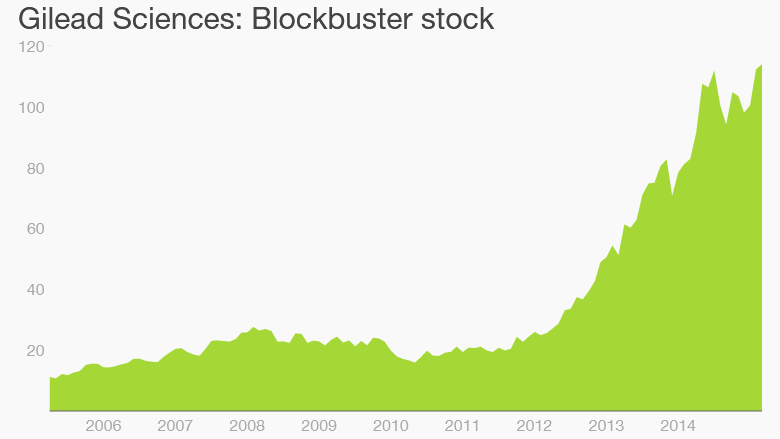 Gilead Sciences has been a dream stock for long-term investors. Anyone who was smart enough to get in at the IPO in 1992 and hold the stock until today are sitting on a gain of around 17,000%! That kind of performance is simply amazing, and investing in a stock like Gilead (GILD)early on can turn even a few thousand dollars into a life-changing amount of money. I've known about Gilead's products and prospects for several years now, but I've never been smart enough to buy a few shares for my own portfolio. That oversight will soon be rectified, as I'll finally be purchasing Gilead's stock in the near future. What opportunity looks like: 2014 was a landmark year for Gilead's business, as it recently launched two new drugs, Sovaldi and Harvoni, that are aimed at curing Hepatitis C. Unfortunately, Hepatitis C is a common disease, and the American Liver Foundation estimates that about 3.2 million people in the U.S. and 150 million worldwide have been infected. Without treatment, Hepatits C can lead to a variety of liver-related diseases like cirrhosis, cancer, or even outright liver failure. Gilead's drugs Sovaldi and Harvoni are designed to cure patients of the disease, which has generated a lot of excitement in the medical community. Despite the fact that these two drugs have only been available for a limited time on the market, sales results have been nothing short of stellar. Sovaldi, which launched in December 2013, hit more than $10 billion in sales in 2014. Harvoni, which was only approved in October 2014, cleared more than $2 billion in only a few short months on the market. Those sales numbers are incredibly impressive, and they speak volumes about how well the drugs work and how willing providers are to use Gilead's products. Better yet, these numbers should continue to grow rapidly as access to the drugs expands around the world. However, that kind of success hasn't gone unnoticed, and Gilead's Hepatits C drugs do have some competition from AbbVie (ABBV)'s Vieira Pak. Abbvie has engaged in a price war with pharmacy benefits managers to push its Vieira Pak over Gilead's drug, which will be something for investors to monitor. But, lets not forget about Gilead's other revenue streams from its dominant HIV business. Gilead has several successful drugs on the market that treat patients with HIV like Atripla, Truvada, Stribild, Complera/Eviplera, and Viread. Taken together, these drugs produced more than $10 billion in revenue for the year, and they continue to grow sales. Beyond that, the company has 37 compounds in various stages of clinical trial. Eight of those compounds are currently in phase 3, and two are already pending regulatory approval. I'm particularly interested in watching how Gilead's entrance into the oncology market goes with its first drug, Zydelig, as the company also lists three more drugs in phase 3 trials. The strong get stronger: Powered by Sovaldi and Harvoni success, revenue at the company more than doubled year over year. Better yet, operating efficiencies allowed the company to significantly increase its margins, which helped nearly quadruple net income to over $12 billion. For a company of Gilead's size, those numbers are simply incredible. With the company producing so much cash, the board has decided to reward shareholders with both dividends and a recently authorized $15 billion share repurchase program. The company's first dividend is set at $0.43 per share, which gives the stock a 1.5% dividend yield. All for a healthy price: Gilead's monster financial performance have rewarded investors, as the stock has moved up strongly over the past few years. However, Gilead's net income has grown far faster than its share price, which has had the happy effect of making Gilead's stock the cheapest its been in years. Looking ahead, management sees strong revenue growth continuing in 2015, as it's currently guiding for revenue to hit $28-$29 billion for the year, up another 12%-16% from 2014's record levels. Better yet, when you add in the buyback, analysts see EPS for the year coming in around $10.86. These numbers should translate once again into strong net income growth, which makes Gilead's stock trade at a measly 11 times 2015 earnings. For a company in as strong of a position as Gilead is in, and with a great recent track record, full pipeline or opportunity, and a management team with a history of creating long-term value for shareholders, it's simply too good of a deal for this investor to pass up. Brian Feroldi writes for The Motley Fool. 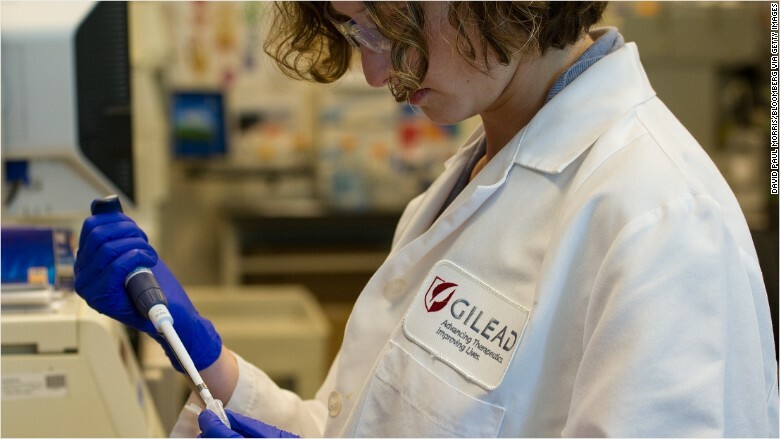 The Motley Fool recommends Gilead Sciences stock. Warren Buffett Admits This Is A "Real Threat"